Move right into this beautiful & stunningly renovated 3 brm, full basement ranch w/1 car att garage! Wonderful open floor plan w/beautiful decor & Chestnut hardwood floors throughout! Gorgeous new kitchen w/Carrara marble counters, recessed lts, glass subway backsplash & stainless steel appliances! Lovely living rm w/recessed lts, picture window & fireplace w/decorative tile! Master bdrm w/recessed lts & closet w/built ins! Gorgeous new bathroom w/Carrara marble vanity w/double sinks, tile flr, & tub/shower w/subway tile & 2 shower heads! Lovely sun rm w/wood look tile flr & sliding barn door! New 200 amp elec & wiring throughout! New plumbing & new heating pipes & baseboards throughout! New Central Air! New Energy Star windows & new insulation throughout! New granite front steps & front paver walkway! Lovely level fenced yard w/new paver patio! Brand new driveway, architectural roof in 2010 & more! Convenient commuting location, close to train, all major routes, schools & shopping! Road: Public, Paved, Publicly Maint. Listing provided courtesy of Kathy Foran, Realty Executives Boston West. Real Estate Listing at 123 Wilson Street Framingham, MA 01702. 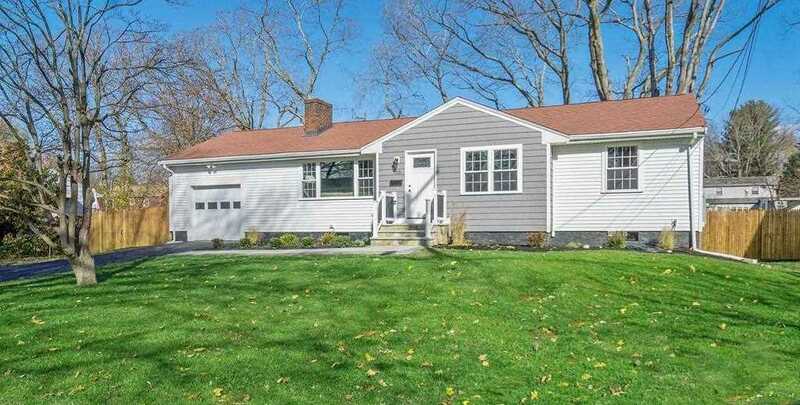 Description: The real estate listing at 123 Wilson Street Framingham, MA 01702 with the MLS# 72436583 is currently listed for $450,000 and has been on the Framingham market for 66 days. You are viewing the details of the real estate listing from MLSPIN at 123 Wilson Street Framingham, MA 01702, which features 3 bedrooms, 1 bathrooms, and has approximately 1254 sq.ft. of living area.